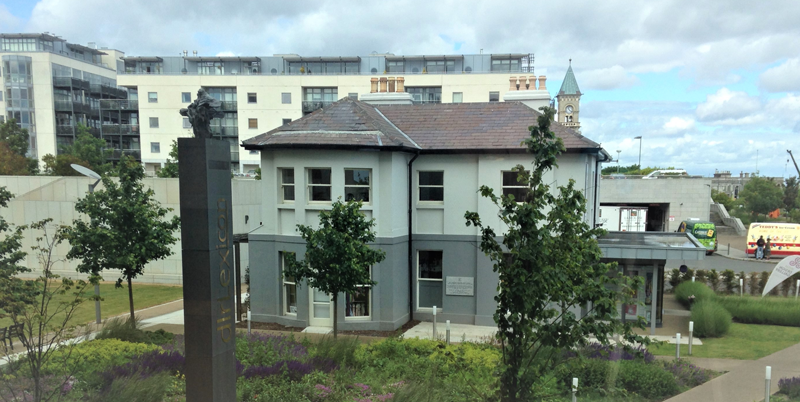 Our new seaside studio is located above the Design Gallery in Dun Laoghaire, just across from the dlr Lexicon Library and cultural centre. We are happy to welcome visitors, but please make an appointment first and buzz in at the side enterance. The Design Gallery is only a five minute walk from Dun Loaghaire Dart Station. Several bus lines are close including the 45a, 46a, 7, 75. There are also plenty of parking options nearby including two parking garages right next door.